I'm going to hoard the stones so I can do one of the big summons. Just finished 80 wins in the tournament. Still a net gain in stones too. Got 3 pulls on the guaranteed SSR gatcha. Str Evil Buu, Teq Whis, and a duplicate INT Teen Gohan. 80 wins?!?! I stayed up late last night playing the game 2 hours straight (maybe longer) so I could get to 30 wins. I like the Tiencha card or whatever he's named. Have you been doing any of the awakening medal events? Ever since they changed them from the way they were a week ago, I can't get a single gold capsule. I have some awakenings I need to do with the Kais and Kibito, and I have played 5 times over the past couple of days and I still can't get a single gold one, not even from fighting Red Ribbon soldiers! While this is true, Bran was talking about the 1 year anniversary event here the awakening medal levels were jam packed with capsules, and at least 2-3 gold ones. I ground out a good amount of medals during the anniversary event, and I'm glad I did because the levels are sparse in comparison now. I checked my ranking in the WT using the dbz.space eighth world tournament rankings lookup and found that I was around 13k. I had to grind some prelims to get back above 15k but it seems I did enough without having to burn a dragon stone. Now to save up stones for the GSSR pull I still have. Also, tomorrow starts the first super strike for Agi Vegeta, max cost of 100. Ah. I see. Global gets shafted once more! The lowest I got to in the tournament was 67. But then I decided I didn't want to waste anymore stamina so I just let it go out until the tournament ended. Ended with rank 909. I heard the banner percentages aren't good for the GSSR 50 stone pull. So pull at your own risk. I currently have all the cards I want except Majin Vegeta, Zeno Trunks, and AGL SS3 Goku. The Vegeta event isn't too bad. I did have to waste 2 stones due to not bringing 4 healing things (sensu and dende). My team is skinny gotenks, ss vegeta, xeno trunks, ss3 vegeta, ss goten, and I used GT ss vegeta but I think I'll use Vegito next time or somebody else entirely. My 'friend' was a skinny gotenks. My current team is this, and I can win it without using a stone sometimes. SSR Skinny Gotenks, UR SS Goku (either a double dokkan awakened one from the Goku event that never goes away, which is named "Legendary Super Saiyan Super Saiyan Goku"... or "Deadly Awakening Super Saiyan Goku" from the tournament that just ended--I'm going to try this one for the first time tonight), SSR SS Vegeta, UR SS3 Vegeta, SSR SS Goten (absolutely important for changing blue ki spheres to rainbow! ), and SSR Bunny Bulma (raises all attacks 2000, but has no compatibility with any of the others on the team). I then usually end up paired up with another Skinny Gotenks friend. The items I'm using are sensu bean, Dende, Bulma in blue shirt, and Bulma from Resurrection of F. I use the RoF Bulma immediately, the other Bulma I wait until I defeat him the first time. There's a benefit to the Bunny Bulma card. If she super attacks, the enemy can't use a super attack for that turn, so I always put her first to attack if I can make her super attack. I'm not sure this Vegeta is super useful for the LR Goku event, but it's still another super strike to get done for furture events. I've been running a all TEQ team with one Agi Krillian to keep costs down, with a friend SSB Goku in order to nuke the crap out of him. 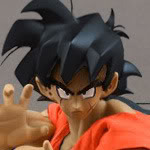 Pairing SSj Goten with SSB Goku, in that order, works amazingly. Goten turns all the Agi orbs to Rainbow, then Goku turns all the Rainbow orbs to TEQ. He then also gets +30% damage per TEQ or something absurd like that, so his second form goes down in 2-3 hits. Well, I have until Wednesday I think to do the Bardock and Chilled events or whatever they are, so I better have all the Vegetas I need by later today. Just finished dokkaning my second Vegeta. Maxed his SA at 15. Didn't take too much work, but I had to rely on a SSB Goku friend, which was rough at the end. I don't have too many of them on my friends list. I also found that I had not completed the Bardock event on Z-Hard yet, so I walked through those stages. Holy crap the power creep in this game is real.